Pet odor is our specialty! This is probably the most challenging area of our business today. I can’t recall how in many houses one occupant can smell something while the other can’t. Many times, we can’t smell what you’re smelling. Because of this, we have to play odor sleuth, ask a lot of questions, and investigate to find the source of the odor. The reason that some people can smell and others can’t is their level of tolerance. Different people have a different level of tolerance than others. For example, say Mrs. Jones has a little pet dog who urinated on the carpet for a period of time. Since it is a gradual process (one spot into many spots), she may not recognize the resulting odor from when her dog first hit the carpet until discovery by Mr. Jones when he gets back from an extended business trip. Her senses simply became acclimated to what home smells like. She may have had guests over who may have noticed the odor, but were too polite to address the smell. 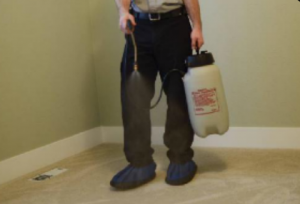 Many times, this is the challenge for a carpet cleaner. They must address the problem at the initial inspection or the problem will become elevated and more noticeable after cleaning. Then, we have a problem! 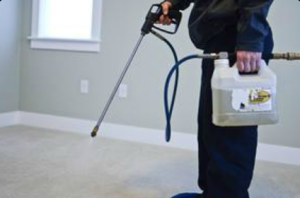 Odor control and standard carpet cleaning are not the same technology. We must find the source of the odor!